1) They spread the awards around, thank goodness. This wasn’t one of those years where, say, Adele or Bruno Mars took home award after award, leaving fans of everyone else disappointed. 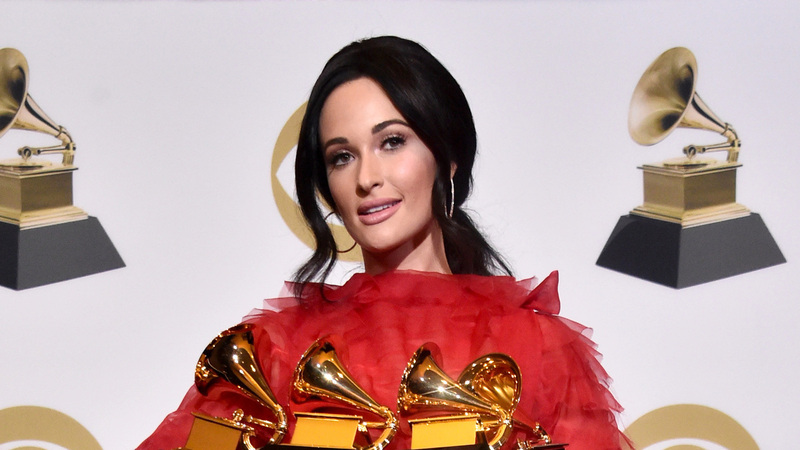 Sure, Kacey Musgraves won four Grammys, two of which were announced on the telecast — those would be Album of the Year and Best Country Album — and Childish Gambino’s “This Is America” overcame the Grammys’ past aversion to hip-hop in the major categories, winning both Song and Record of the Year. But otherwise, the televised categories jumped around a bit, with awards handed off to Cardi B, Drake, Dua Lipa, H.E.R. and A Star Is Born so-stars Lady Gaga and Bradley Cooper. 6) An abridged guide to Grammy-related outrages, 2019 edition. Greta Van Fleet, a rock band renowned for its uncanny sonic similarities to Led Zeppelin, won Best Rock Album — a.k.a. One More Grammy Than Led Zeppelin Ever Received During Its Existence. Rapper 21 Savage, currently detained on immigration charges, was scheduled to perform until recently — and was never so much as mentioned until late in the telecast, when Childish Gambino collaborator Ludwig Göransson acknowledged him in an acceptance speech. A tribute to Motown was anchored by dance-pop star Jennifer Lopez, who was… a curious choice for such a responsibility. Ariana Grande was scheduled to perform until very recently, when a dispute with the Grammys’ producers went public; she also tweeted (and then deleted) her displeasure when her former partner, the late Mac Miller, lost Best Rap Album to Cardi B. And finally, Drake — who’d also opted out of performing — accepted his Grammy for Best Rap Song (for “God’s Plan”) by minimizing the Grammys’ importance; in a bit of not-good optics, his speech was unceremoniously cut short by producers. 7) Speaking of bad optics… Nearly three hours into a telecast that abruptly abridged speeches by several of its biggest winners, the Grammys still found time for a lengthy tribute to Portnow, who’s stepping down this summer. Whatever his contributions to the Recording Academy and the music industry, no one has ever watched the Grammys for Neil Portnow, whose tribute at least felt as long as the one for Aretha Franklin. Which, finally, raises a question: What, exactly, are the Grammys afraid of here? Grande is an enormously acclaimed young star whose Sweetener was a hit with critics as well as fans; she’s good enough, in fact, to have just won a Grammy for Best Pop Vocal Album. Swift, for her part, has been nominated for 32 Grammys and won 10. Whatever you might think of her album reputation, its exclusion from major Grammys categories stood out — especially when you consider that the Grammy committee had no qualms about nominating, say, Post Malone for Album and Record of the Year. At some point soon, the folks who run the Grammys are going to have to answer a few questions about what, exactly, is so embarrassing about pop music.